PIRAEUS, Greece -- Scores of football fans clashed with police in the Greek port city of Piraeus, near Athens, on Wednesday as they tried to disrupt a speech given by the country's finance minister. Police fired tear gas to disperse the youths, who threw rocks and set fire to trash bins. 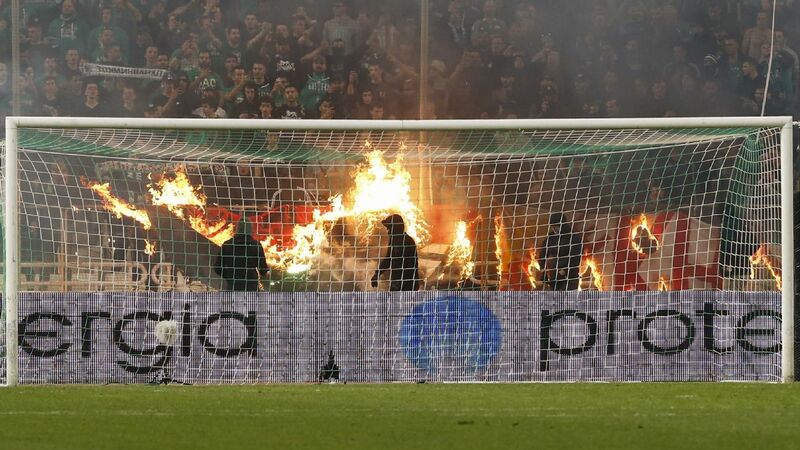 The violence broke out a day after the government ended a two-week suspension of the Greek football league after saying it had received a commitment from clubs to crack down on violence. Supporter groups of the Greek club Olympiakos organised Wednesday's protest against Finance Minister Euclid Tsakalotos, accusing the government of showing bias against the defending champion.